The new version of SkinPack Auto UXThemePatcher is here now! in this new version we update many parts, now the installer not need to restart your Windows and it will install Uxstyle just in a few minutes, we fix all bugs and problems in this version and update many things so its work with last update of Windows 8.1 and not show black screen, also its run as a service so dont worry about modify your system files. Hope you like this and enjoy it! Whats the difference between this and the ultra uxtheme patch? I remember your uxtheme patch for Windows 8 CP was removed my Microsoft last time. You should be better prepared this time around. Any good Windows 8 themes yet? we are working on , we will share it soon...! I am new to windows 8 and wanted to know if this tool would work for changing the start menu background. I want to change my Windows Server 2012 Start Menu background to resemble Windows 8 start menu background. 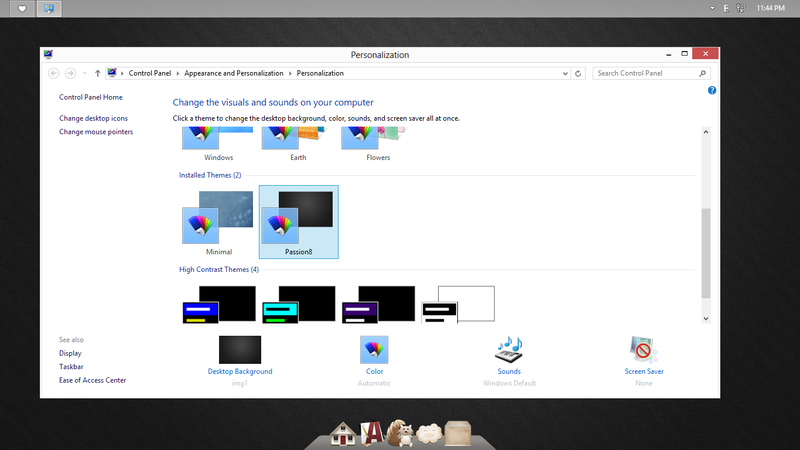 backgrounds (Win 8 does). Any help would be appreciated. ^ No, this patch is for installing themes (visual styles). You need Windows 8 Start Tweaker for changing the background of the Start Screen. Can't wait for new visual styles. Great, Those Microsoft shits won't be able to trouble you anymore!!! hahaha you are so funny! I know why you're so angry. You're a hard-core Windows fan and truly love Windows 8 whereas I differ on this point. But whatsoever, I am accusing Microsoft for not listening to us and forcing to use the new Start Screen on Desktops. I am in no way criticizing Microsoft for Start Screen for Tablets but solely and only for Desktops. They should have given us options at least. I am not using Windows 8 and even if I consider to use it, I would use all the helpful nifty applications developed by ' hb860 ' , ' Nanwick ' etc. and ' Hamed danger's ' theme on Win 8 to have myself not use the Start Screen. Well, I don't hate the new Start Screen but Microsoft's decision to take down the UXTheme patch was ridiculous. I mean now installing themes is illegal too? i dont have problem with windows 8 after install start 8 i just want to find a way to enable aero borders to make m.lion style , i hope we can find a way to enable aero in win 8.